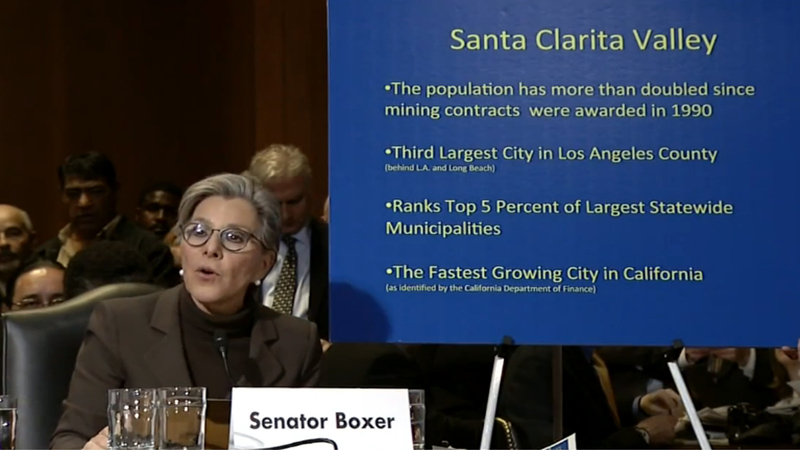 Sen. Barbara Boxer, D-Calif., gives testimony Nov. 20. 2013, before the Senate Energy and National Resources Subcommittee on Public Lands on two important public lands issues in California — stopping construction of an environmentally damaging mine in California’s fastest growing city, Santa Clarita, and preserving the Berryessa Snow Mountain region for future generations. Why does she always get re elected? She is so out of touch with most of us!